The operation saw soldiers from 1st The Queen’s Dragoon Guards, known as the Welsh Cavalry, work closely with a heavy weapons company from the Afghan National Army’s (ANA’s) 3/215 Brigade in northern Nad ‘Ali. The soldiers cleared either side of a main supply route in the area so Afghan Uniform Police (AUP) could move up behind them and search compounds for insurgents. During the operation a pressure-plate improvised explosive device (IED) was discovered, which was dealt with by the Afghan Explosive Hazard Reduction Team - the ANA’s counter-IED specialists, who gathered evidence and destroyed the device in place. The soldiers did not come into contact with any insurgents and, once the area was secure, a team of engineers moved in to build three checkpoints which will be manned permanently by the AUP. The Afghan heavy weapons ‘Tolay’ (a company-sized unit) is fully equipped with heavy machine guns, 82mm recoilless rifles, rocket launchers and mortars. 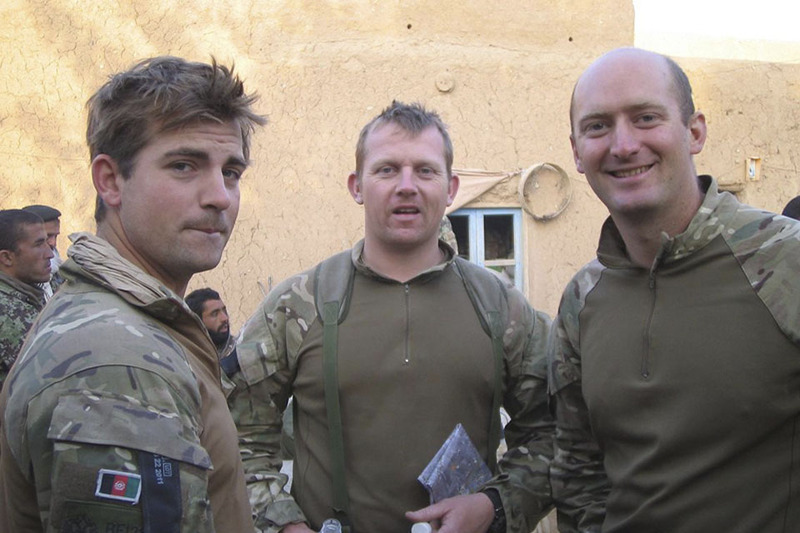 The Tolay deployed two platoons of warriors for the operation, with Captain Jonathan Arthur, Captain Thomas Berry and Sergeant Wayne Jones from the Queen’s Dragoon Guards embedded with them on the ground to provide advice. The Tolay we are working with are a good bunch. They are professional and motivated. Most of them have been fighting for over 20 years and, although we are able to advise them a great deal, there is also a lot we can learn from them. 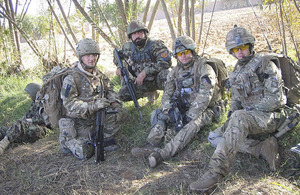 The ANA are very capable and when we hand over control to the Afghan security forces they will rise to the challenge. The ANA are constantly surprising me. Although their methods are often different from what we would expect, they are usually highly effective. The ANA are a professional organisation and are a pleasure to work with on operations. This was the first time the ANA and AUP had worked together in a major operation in Nad ‘Ali and it was a great achievement getting so many moving parts working together in unison.